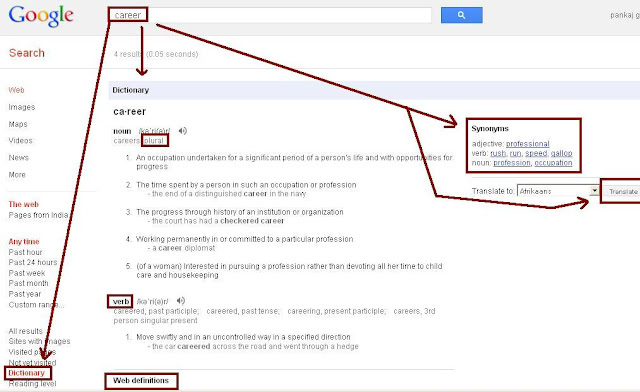 Google Dictionary is best, free, large, online dictionary available over internet. I am very much pleased with this tool and have been using it regularly. You may want to give it a try and may share with others. - Type dictionary word: example: Career, Computer etc. - When you want all result select 'All Results'. It provide following benefits instantly.